Are you searching for a kitchen that matches your ideal image? With our vast selection of custom-made kitchens Armadale homeowners and families across Melbourne can rely on AOK Kitchens to deliver the kitchen of their dreams.Thanks to our expansive knowledge, decades of experience in crafting high-quality custom kitchens for countless customers, and our enduring commitment to excellence, AOK Kitchens has grown from humble beginnings into the renowned business that we are today. 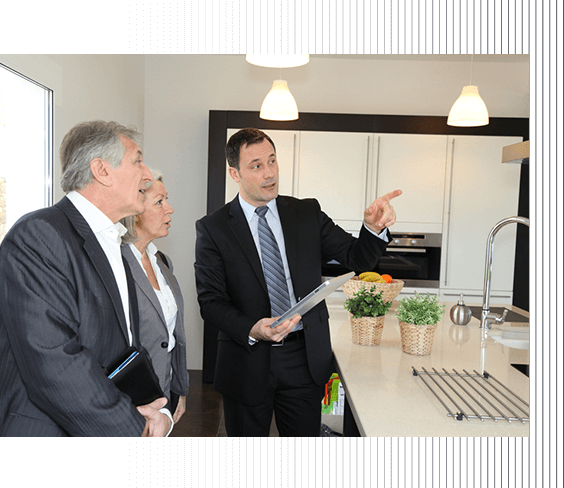 To discover what we can do for you to enhance your kitchen, Armadale residents can call us today on 0413 345 341. Kitchens are a heavily used space in the home, and function as the heart of the home. If you’re looking for kitchen renovations in Armadale to breathe new life into your kitchen, talk to the expert team at AOK Kitchens.Our Armadale kitchen renovations include new fittings, finishes and more, depending on what you require. For designer kitchens in Armadale, trust the job to the team at AOK Kitchens. Over our 20 years of operation the team at AOK Kitchens has been motivated by our passion for creating lasting, eye-catching, and accessible kitchens. This focus on complete customer satisfaction has seen us assist in the design, creation, and installation of countless kitchen renovations. Our designs can be installed in a number of different configurations and resized to meet your specific size requirements with ease. Our expertise in designer kitchens in Armadale means you can count on us to make your dream home into a reality.